Whether you are looking for a new home that is already built, or a waterway lot, Sunset Harbour is a choice neighborhood. The community of Sunset Harbour is located on the Intracoastal Waterway in the highly desirable Cherry Grove section of North Myrtle Beach. You can tell that this community is special the moment you drive past the magnificent fountains at the entrance and come into this slice of coastal heaven. Sunset Harbour is great place to not only watch the sun set but also watch it rise! A private clubhouse and pool offer a luxurious setting for entertainment, enjoying the parade of boats along the water way, swimming or just relaxing with friends! All the amenities, including piers, pavilions, and a private boat ramp are for the exclusive use of Sunset Harbour residents and their guests. Jump into a golf cart or the car, and you're on the sunny shores of the Atlantic Ocean in a matter of minutes. The golf, dining, entertainment, and shopping options that the Grand Strand has to offer are also a few miles from Sunset Harbour. Tucked away in a North Myrtle Beach location long known for its serene and special waterway views, Sunset Harbour has been carefully planned to preserve and protect the natural beauty of the land and to enhance the Sunset Harbour residents' enjoyment of the Intracoastal Waterway. 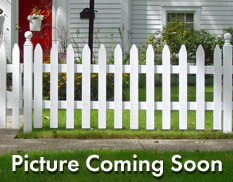 Home prices begin in the low $300,000’s and range to $1M depending upon the size of home and location you select. Within Sunset Harbor you will find established homes as well as buildable lots. RE/MAX Southern Shores, the #1 selling real estate agency along the Grand Strand, invites you to access listings for Sunset Harbour properties and lots by using the search features on the left of this website. Then call a RE/MAX Southern Shores agent at 843-249-5555 for personal attention to find the housing option that is just right for YOU! Given the competitive prices for Waterway homes, the quality of construction and nearby access to the quiet Atlantic Ocean beaches, it is no wonder that so many buyers choose Sunset Harbour in North Myrtle Beach as the location for their southern home. 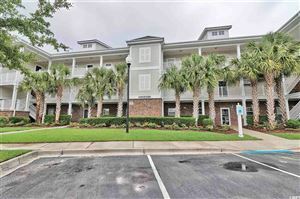 RE/MAX Southern Shores real estate agents are very familiar with North Myrtle Beach real estate market, and would be delighted to take you on a tour of Sunset Harbour properties as well as other North Myrtle Beach housing options. Simply give us a call at 843-249-5555 to schedule some time to make your real estate dreams come true! After seeing the sun reflected on the Intracoastal Waterway you may be calling Sunset Harbour HOME! Home sites are available on the Intracoastal Waterway or nestled within carefully preserved wooded surroundings. Either setting is perfect for your beautiful custom home. Both home sites and homes are available. Come find or build your dream home at Sunset Harbor in North Myrtle Beach with RE/MAX Southern Shores! Call 843-249-5555 today!